Microsoft has turned its Bing search engine more social, bringing live feeds from Facebook right into its search results. 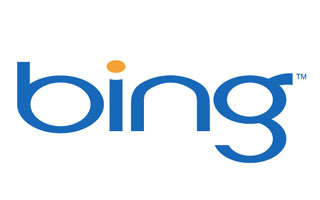 The move is the latest move in Microsoft’s recent efforts to enhance the Bing experience and search capabilities. According to Microsoft, Bing is the first search engine to incorporate the Facebook “firehose” of status updates, shared links, and non-page content right in its search results. Last October, Bing announced a deal to bring Twitter’s “firehose” of real-time tweets into Bing search results. The new Facebook integration builds on that idea, adding Facebook fan page updates as well as popular links posted by Facebook users with their status updates visible to the world. Mindful of recent privacy concerns surrounding Facebook, Microsoft is quick to note that material from non-fan pages is only used if it’s specifically shared with the whole world, and no names, photos, or text associated with the link gets published…or, if there’s no much information to accompany a link, Bing might show an aggregate number of people who have shared a particular link. Alongside the Facebook status information, Bing has updated its home page to show trending topics extracted from both Twitter and Facebook’s firehose feeds, so users can get an immediate glance at what’s hot on both social networking services. Bing also tries to show some context about why trending topics might be important or interesting, along with a sample of search results from its social media. Microsoft says it plans to add more features to it’s “social vertical” soon, meaning more integration with social media and real-time status feeds. This might be great news for folks who live and die by what’s trending on social media sites, but for folks who think it’s mostly hooey—and, face it, social media is not exempt from Sturgeon’s Law—there doesn’t appear to be any way for users not to have Bing throw social media in their faces.